People often ask me about recommended places for sushi in Tokyo. If they are after a top-notch experience they better check the Michelin guide, but for some bang-for-the-buck without luxury but with variety and freshness, I can recommend Katumidori the kaiten sushi of sushi midori - that translates literally to green sushi. There are many branches, but most likely the one in Yokohama or in Seibu Shibuya A (gourmet zone located at floor 8 of mall A), here is the map to an Italian restaurant in the same floor as I just realized that Google Maps pin for Katumidori was WRONGLY marked. I'm not a foodie, but this place always makes it into the stops whenever I return to Tokyo. This time was more special because of being the first time for us to come back together since 2014, of course we booked time for a lunch here! Below come some or our favourites - how about yours? 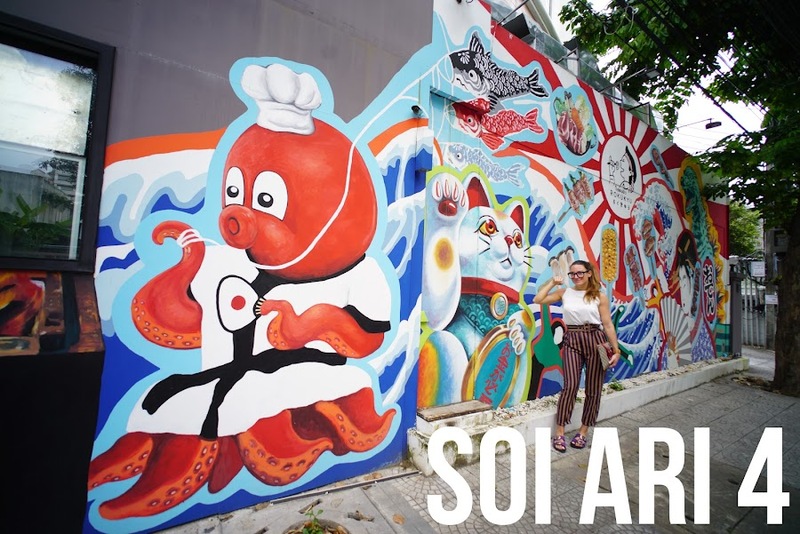 Soi Ari 4 is deeper in the neighborhood but displays a large variety of eating and staying options for those daring to explore that far. We have tried places though with varied results. Rokukyu69, the Japanese restaurant with the colorful wall turned out to be cheap, but not so good - somehow they thought that frying gyozas was cool, so I would not recommend it. On the bucket list are Pakalolo the tiki bar and Yuzawa another Japanese that seems to be of Chinese influence due to the variety of hotpot options - not sure how keen you are on soup considering the heat. On the caffé side we have Porcupine - nice for hanging out, but with disappointing menu heavy on most-likely-warmed-up-pasta and little else, Bar storia del Caffé - very hyped, good meals if you can handle the extremely slow velocity. I noted a couple of hotels for the stay bucketlist Josh and Rest which you may want to consider if you are after a chill local time in Bangkok. Soi Ari 4 está bastante escondido y quizás por eso, no esperas encontrar semejante variedad de restaurantes, cafeterías, bares, hostels y hasta un SPA. Al comienzo de la calle aparecen Rokukyu69, un Japonés cuyo mural es bastante mejor que la cocina - por alguna razón pensaron que freír las gyozas era una buena idea, seguido de Yuzawa, que todavía no hemos probado; Porcupine un café con potencial para beber algo - pero no comer salado; Pakalolo un bar Tiki con un concepto cuando menos sorprendente y un par de hostels que pintan bastante bien, Josh Hotel y Rest. La estrella de la calle se reserva para el final, sin duda Bar storia del Caffé es un hotspot super instagrameable, donde se reúnen cámaras y huevos escalfados a partes iguales. 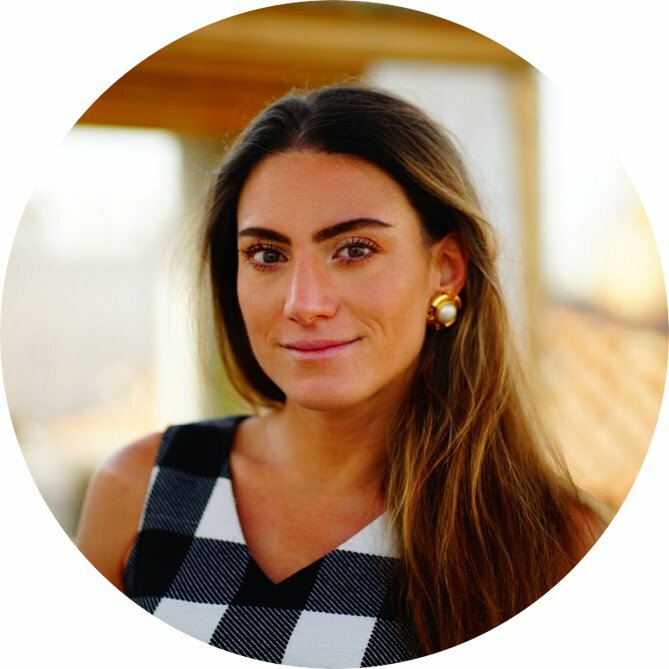 Quizás sea una buena opción para empezar el día antes de emprender una dura jornada de compras en Chatuchak. A place where the clock stopped ticking. Bangalamphu is the old Bangkok encapsulated in a leafy district. The infamous Khao San road may be the most known attraction in the area, it is definitely most interesting if you ask me. When general Chao Phraya took the Taksin down and established the capital as Rattanakosin, moving the city proper to the river's eastern bank(click to read more about the history of Indochina, where Siam and Khmer empires succeeded each other). He had new fortifications built around these boundaries and dug new moats and canals (Khlongin Thai) that give Bangkok the Asian Venice vibe, which are still in place today. Within these boundaries we find a myriad of monks, temples, artisans and monuments worth visiting. Tucked away towards the end of Ari soi 4 (map) is the extremely popular Bar storia del Caffé, which shares location with a very interesting spa called Calm, which is in my bucketlist. The decoration as great as the fare they serve. Staff is a bit slow - good things take time seems a recurrent motto in Thailand - but the dishes are well worth it. If you are a sucker for bread, make sure to order the extra toast as some brunch plates (eggs benedict, as an example) come without it. As usual in Asia, if it ain't in the picture, then it ain't included. I felt brave and ordered the sunny side eggs, which were thankfully NOT fried but grilled #beyondhappy. It gets extremely packed during the weekend so you may have to queue, but it is anyway quite interesting to observe the army of blogger-influencer wannabes taking shots at the door and capturing the food, even if when it eventually turns out to be a shared dessert among 5 people. Price wise is on the expensive side of Bangkok, but still ok for foreigner I guess - less than 12EUR for the eggs, a coffee and some soda water. If you are staying in any of the hostels in the very same street, sincerely recommended option for a fancy breakfast! Someone at work recommended this place, guess it is some kind of celebrity hotspot, based on the continuous attention and photography it gets from local girls. Siam Square's first buildings were constructed in 1970 on land belonging to Chulalongkorn University, as a way to provide rental income for the University. Streets West of Siam Square One shown in the map below are a labyrinth of local fashion, high quality counterfeit, cheap accessories, tailors, cafés and restaurants, particularly popular among teenagers. I don't go shopping much, but sometimes I drop by Siam square - so far I've come back with some cool clothes for dance class and more goodies from Hamburger Studio, as they had stuff that never made it to EmQuartier. I have to say I find this area way more exciting than the surruonding malls (both Central World and Siam Paragon are very confusing to me), check the streets west of of siam square one out and let me know! La práctica de cultivar generosidad es uno de los pilares del Budismo. Al desprendernos de las posesiones materiales no sólo nos alejamos del sufrimiento que conllevan los impulsos adquisitivos sino que además tenemos la oportunidad de mostrar nuestro respeto hacia los monjes que muchas mañanas te encuentras en las esquinas de Bangkok, sentados con su bol, esperando a que alguien deposite comida - ojo! el dinero no es una ofrenda aceptable. Visión (dṛṣṭi • diṭṭhi): Entender que las acciones y pensamientos tienen consecuencias más allá de la muerte. Intención (saṃkalpa • saṅkappa): Cuando alguien abandona sus pertenencias y adopta la vida de monje, lo hace renunciando a la sensualidad, la maldad y la crueldad. Discurso (vāc • vācā): No mentir, no hablar con malas palabras o por detrás de la espalda. Obra (karmānta • kammanta): No matar ni herir a nadie, no robar, carecer de deseos materiales y sensuales. Medio de vida (ājīva • ājīva): Alimentarse de limosnas, poseer únicamente lo esencial ara sobrevivir. Esfuerzo (viāiāma • vāiāma): Evitar los pensamientos sensuales. Consciencia (smriti • sati): Estar siempre presente. Meditación (samādhi • samādhi): Practicar hasta culminar en la unificación de la mente. Aunque los monjes sigan abundando en las calles de Bangkok, los artesanos que construyen estos boles a la antigua usanza han quedado reducidos a las 6 familias que habitan Soi Ban Bat, una pequeña calle congelada en el tiempo. Gracias al turismo, siguen vendiendo boles (cuyo precio oscila entre 500-2000THB) de tediosa fabricación - normalmente finalizan un bol grande al día, alguno más si son pequeños. Esta calle, situada bastante cerca del Golden Mount se puede visitar gratis, pero nos deja con una lección desgarradora acerca de la artesanía que corre el riesgo de perderse en el olvido si no contribuimos a mantenerla. Un poco a lo Jim Thompson, los turistas son hoy en día los que más contribuyen a la supervivencia comprando boles. Aunque los artesanos que veis en las fotos son bastante mayores, también estuve con un chico joven (no llegaría a los 20 años) que se mostró muy atento enseñándome sus creaciones - la estantería de boles finalizados que veis al final del post. Una calle por la que no pasa el tiempo, muy recomendable. Este hombre andaba cortando pétalos de metal. Es impresionante ver a la persona fotografiada muchos años antes y ser consciente de que lleva haciendo lo mismo, día tras día, en el mismo sitio, durante toda su vida. Por otro lado, esta especie de cestos están listos para soldarles los pétalos. Al darse cuenta de mi presencia, dejó de soldar para tenderme un recorte de prensa extranjera plastificado, que relata la historia de esta pequeña comunidad. Por último, esta señora refina la forma a martillazos, hasta que queda suave y uniforme. Tras esto, se hornean para darles más consistencia y ese color oscuro, como muestra el resultado final! Dos potenciales compradores de camino a la calle. Sometimes we go out - when we do it's hands down Levels, sometimes we stay in da hood. One of the best things about living in Ari is how of a lively area turns out to be - plenty of cafés, restaurants, bars with live music, small hipster gigs, massage, nails and tiny cute little shops - without the sensorial overload of traffic, hustlers and tourists that await in Sukhumvit. Just a very nice feeling to be able to reach places like Frank thorugh an uncompromising 2 min walk - let's see what the night has to offer. I have passed by Dice!s door a gazillion times on the way to my beloved nail salon (Happy hours) few meters further down Ari soi 2. Judging by the entrance and claims about coffee / coworking, it stroke me as a hipster barista where entrepreneurs in rounded Oliver Peoples dropped by and debated business ideas over creamy cappuccino. Once again, Jorge proved me wrong. Dice! has a lot more to offer than coffee, in fact it is a whole building of amazing opportunities to work, play and chill at the terrace, where hipster parties are arranged on Saturday evenings. It felt like time travel to my beloved Stockholm, specially that day when Fer and me ended up in a VICE Magazine party thanks to some tickets I grabbed in the air, while being thrown from a mysterious van touring my hood, Södermalm. People wearing vintage, home-made projections, plastic cups and a cool crowd. We were too hangover to drink, but we def enjoyed the time and the chat. Quite a lovely plan to wrap up a rainy Saturday, hanging with the locals. If you give me 1 day in Tokyo, I'll take you to Shibuya. If you give me 1 hour in Tokyo, I'll take you to Shibuya. If you give me 1 min in Tokyo... It'll be Shibuya. Tokyo is not a monumental city in the sense of Rome or Paris, where there are clear sights that one must see surrounded by charming streets and little corners, tucked away the crowds here and there, often by and for the locals. In Tokyo anything can happen, but you can never tell where, how or why. Tokyo is a magic tale where all the people you cross by, play a character.